WEARING: Melissa Araujo LS Top, Acne Studios Canada scarf, Vans Old Skool, Vrai Oro x FIGTNY Rings, Dior Sunnies, Cluse Watch and American Apparel Socks. 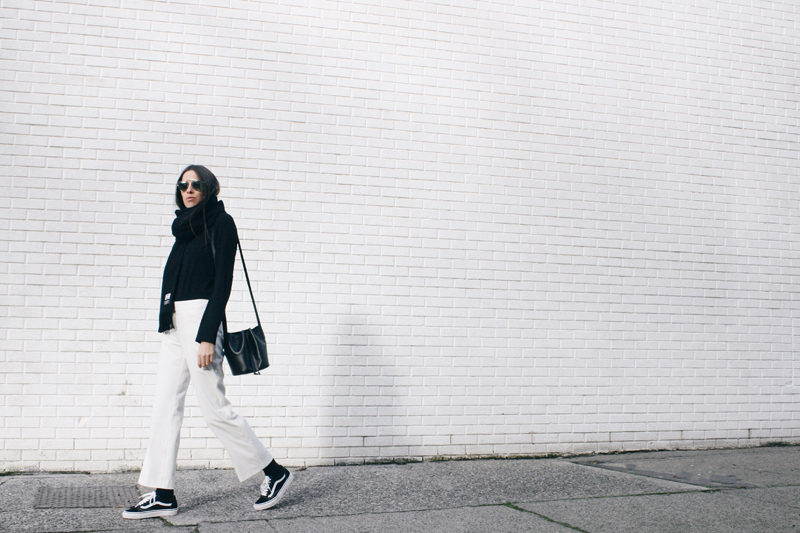 One of my go-to style combos: black and white paired with sneakers for a simple but always great look. 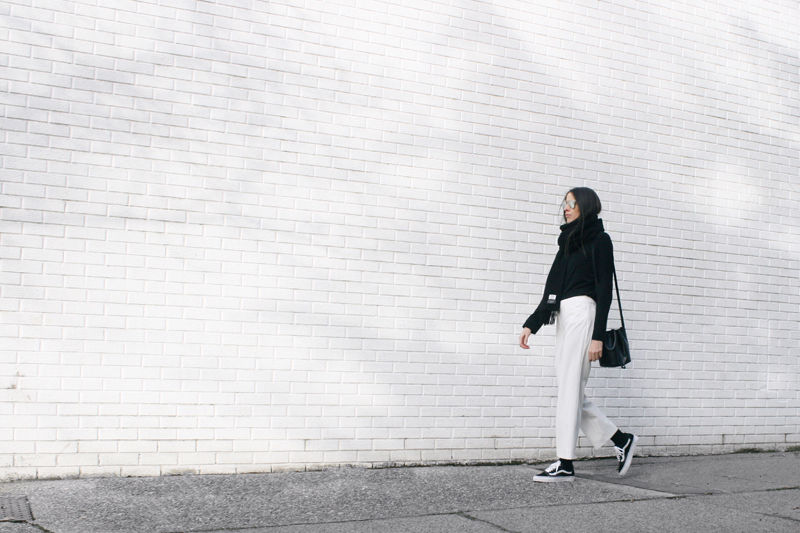 BW outfits are one of those fashion basics that will always be in style. A structured pant can be chic but also an easy alternative to skinny jeans, paired it with one my favorite pieces from my latest collection the Melissa Araujo LS Top (this top is high on rotation - day or night). I also worn it the other day in white see it here. The Acne scarf is a nice touch to keep warm but yet casual. If you want to play safe invest in your basics and when you want to add some flare, just think outside the box and give them a bit of personality! Make sure to check our BASIC collection here! Our goal is to keep things simple but elevate your style one outfit at a time! Beautiful black and white, your pants are amazing! so good! loving the length of those pants! girl, you are killing it every time! This white and look is amazing! Stunning look! I would wear such outfit myself!